With the second wave of Ebola virus attack going in full swing, things are not good for Democratic Republic of Congo — a country that has been troubling with the outrage for some months. Now, many organizations, such as World Health Organization and UN, are trying their best to offer aid to the country, but United States does not seem to like the idea. Right after the second emergency caused by Ebola was announced, the United States government has pulled back Ebola virus experts from Congo. As to why, the officials have cited some safety concerns. The Ebola outbreak — the second one to hit the country in this year — has caused 135 deaths so far. Along with these, 211 confirmed and probable cases of the virus infection were reported as well. Although overall intensity of the spreading was quenched by the end of September, things started becoming in October when more hits were reported from the eastern part of the country. As of now, the country health officials, as well as law enforcement agencies, are trying to isolate the reported cases and prevent Ebola from spreading into other areas. It’s at such a point that US is pulling down the experts, who could have helped at many aspects of the anti-Ebola campaign. Of course, the decision has sparked controversy in no time. “CDC has responded to nearly two dozen filovirus outbreaks in its history and has people who’ve been working on these issues for 30 years. It doesn’t make sense to have those people hundreds or thousands of miles away from where the disease is actually spreading,” said one of the officials when talking about the change of plans from the US government. 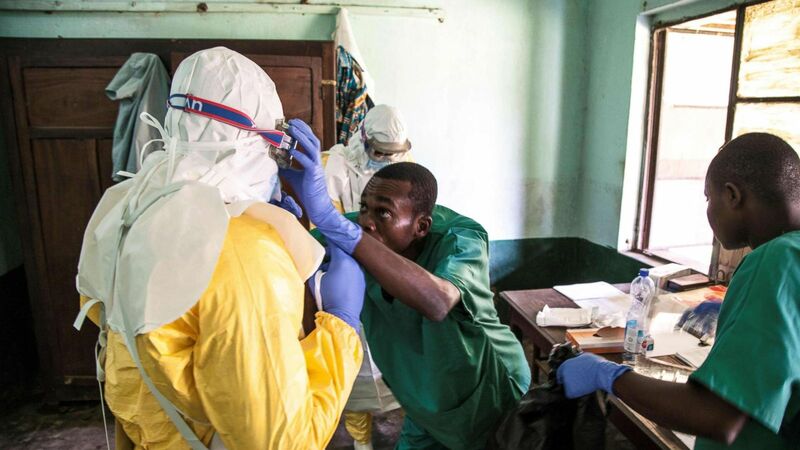 The State Department of the US, however, maintains that the outbreak is now happening in unsafe environments and says that the experts cannot be deployed without risking their health.